Following the receipt of information that the NSW Police RDT scheme does not test for cocaine, David asked the Minister for Roads Duncan Gay why this was. His rather baffling answer is below. He then followed this up the next day with this additional response – indicating that despite the best global research available identifying cocaine as a real risk for road safety, in NSW cocaine was only rarely used, and even when it was used the effects only last for 6 minutes. What?! Mr DAVID SHOEBRIDGE: My question without notice is directed to the Minister for Roads, Maritime and Freight, including in his capacity representing the Minister for Police. 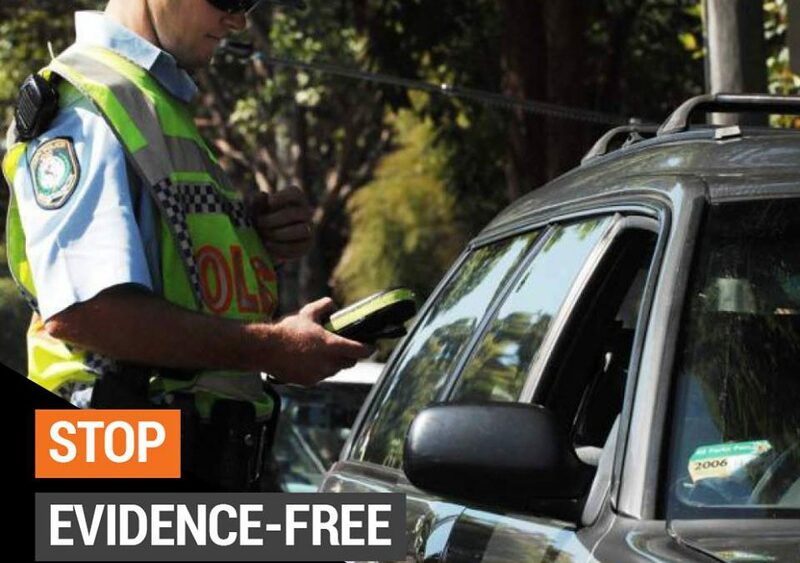 Why are the New South Wales police not checking for the impairment of drivers in the Government’s expanded roadside drug testing program? Most especially, why are they not testing at all for cocaine, given the fact that cocaine was found to be the second most common illicit drug in drivers in the 2013 United Kingdom Wolff report on drug driving? The Hon. DUNCAN GAY: I thank the member for his question. It is now three months, one week, four days, 23 hours and 20 minutes since I have bee asked a question in this place. I was hoping to get one from the Opposition, but I have had to wait to get one from the friends of drug users—David Shoebridge. You are not objecting? Mr David Shoebridge: No. I am used to your insults. The Hon. DUNCAN GAY: Oh, good. I am pleased about that because there is a lot more to come in this area. Mr David Shoebridge: It’s like being gummed by a sheep. The Hon. DUNCAN GAY: And that is like being hit with a wet lettuce leaf. The New South Wales Government takes a zero tolerance approach to drug driving—unlike The Greens—to stop drivers putting themselves, your family, my family and others at risk on the roads in New South Wales. Frankly, we do not want people getting behind the wheel after they have been using drugs. The PRESIDENT: Order! I call Mr David Shoebridge to order for the first time. The Hon. DUNCAN GAY: From 2010 to 2014 at least 245 people died on our roads in crashes involving motorists with at least one of three illicit drugs—cannabis, speed or ecstasy—in their system. Frankly, this is completely unacceptable. Like drink driving, drug driving is best tackled by coupling police enforcement with public education. In March 2015 the Premier announced that roadside drug tests of drivers would expand from about 30,000 tests per year to more than 97,000 tests per year by 2017. This expansion is well underway and will escalate in 2016. Over 58,000 mobile drug tests were conducted in 2015, with over 5,900 motorists testing positive for illegal drugs at the roadside. This equates to one in 10. Mr DAVID SHOEBRIDGE: I ask a supplementary question. Could the Minister elucidate his answer when he says, “We are testing for the drugs that our equipment allows” by explaining why he is not testing for cocaine and benzodiazepines given the Dräger unit the police use allows for the testing of both those drug types? The Hon. DUNCAN GAY: We use our equipment to the best of the ability of that equipment. As I was saying, we pulled this car up on the side of the road—and the Hon. Michael Gallacher was there with us that day—and there was a young family in that car. There was the father, mother and three children. The first person we pulled over tested positive for drugs in his system. One of the journalists who was standing there with us when the wife and the children started crying in the car said, “Don’t you feel terrible about what you have done to this driver in front of his family?” The answer, of course, is that we did not because he should have felt guilty for what he was potentially doing to his family, his children and everyone else. This misplaced campaign that Mr David Shoebridge and The Greens are running, with the support of some magistrates who used to act for the hemp embassy, is a dishonest campaign. This is about zero tolerance for drug driving on our roads. Mr David Shoebridge: Point of order: Mr President, I ask you to direct the Leader of the Government to withdraw the imputation against the members of the judiciary, which is in breach of the standing orders. The Hon. DUNCAN GAY: I withdraw. The PRESIDENT: Order! Has the Minister concluded his answer?